2702 Lake Vista Dr. 1 . A well-established dentist in Lewisville, Dr. Darian Kaar, a board-certified prosthodontist and his clinic Advanced Dentistry use state-of-the-art technology, including an in-house lab for new prosthetics, to offer quality affordable services which includes dental implants, all on 4 dental implants, full mouth reconstruction, custom dentures, invisible braces, teeth whitening, crowns, bridges, veneers and root canal treatment. I'm very pleased with the services provided by Advanced Dentistry. I was able to get a dental implant that failed done over. I am happy with the price as well as Dr. Kaar's skill and abilities. He explained that the bone graft was not done correctly and was able correct it and do the implant surgery over. It's been over 9 months now and all is well. Wonderful office staff! Everyone is kind and professional. Dr. B is a great surgeon and the price they offer for implants cannot be matched. I highly recommend Advanced Dentistry. I was in desperate need for an extensive mouth work. I had visited some of the more well-advertised practices in the past and found myself being disappointed. This time around I did some homework and decided on Dr. Kaar & Advanced Dentistry. Although their pricing was high for my budget, it was still less than half of what I was quoted at other places. The staff was efficient, friendly and very accommodating, especially Melissa, who helped me figure out how to get the work I needed while staying within my budget. Dr. Kaar was very professional and diligent, I had to go through multiple procedures in a span of several months and he took the time to make sure we get the intended results despite severe condition of my mouth ! My teeth now look and feel perfect, I've even been told I look younger. Dr. Kaar is not just another dentist, he is a miracle worker. It was well worth the drive from Fort Worth for my three implants. The staff was friendly and very professional. The cost was less than half of what a friend was quoted elsewhere. I would recommend Advanced Dentistry to anyone. I was a severe grinder and had to have a lot of work done. Dr Kaar completely transformed my smile and I am extremely happy with the results! His staff was courteous and professional and a real pleasure to be around. Thanks to Dr. Kaar and all of his staff for a "painless" experience and delivering extraordinary results! From the initial visit, to the consultation, to the work performed I felt I was in excellent hands. Genuine folks with phenomenal skills at every level of an office visit. I am looking forward to completing the game plan we organized together. Best dental experience I've ever had. Dr. B and his staff get 5 Stars from me hands down. This is the BEST Dentistry in Dallas-Fort Worth. I got the All-In 4 dental implants & they are simply beautiful! Dr Kaar corrected some pretty severe decay on the top front teeth in my mouth. All total it was 8 teeth. He did a wonderful job! My bite is perfect, my teeth are straight and shiny and he matched the color closely to what the rest of my mouth was. For having had 8 teeth fitted with crowns, as well as a tooth extraction in the lower jaw, my recovery time was pretty small. I didnt even miss any work and didnt need but a few of my pain meds. For the first time in my life I am not ashamed of my smile! I am so happy and my husband keeps telling me how pretty my smile is. Thank you, Dr Kaar for doing such amazing work on my mouth! My dental implant was placed a few days ago after the many steps that are necessary to complete the process. Mine started in a february and ended in May. Through out this process, I found advanced dentistry personnel and professionals to be courteous, knowledgeable and proficient. In addition, my dental costs for the implant was about the same as what I had priced for in Mexico. My wife, Lynn, has had several crowns, extractions, cleanings as well as implants done in the past several years using at least 3 dentist for that work. We saw an advertisement for Advance Dentistry and decided to give them a try even though it is not that convenient to our home. From the time my wife called to make the appointment to the time we agreed to have an extraction, implant and crown done, we were treated with the utmost kindness and care. She is actually looking forward to having the work done at this point. After reading a lot of reviews, watching tons of videos on the All-On-Four (or six) procedure and much soul searching I decided to give Advanced Dentistry a call. I initially spoke with Rose a few times before deciding to go in for a consultation. Rose was very sweet and helpful on the phone as well as in person. She answered every question I had on each phone call. The day of my consultation everyone was very professional and knowledgeable. Dr. Kaar visited with me, examined my teeth and told me what options I had without pressuring me into anything. He also made sure I knew to contact him personally if I was ever treated poorly by any of his staff. That is Impressive. Melissa was very knowledgable and patient with my husband and me as we went back and forth trying to decide on the best option for me. Once we decided on a plan and knew the cost, I was scheduled to go back in to make the payment for services, and get x-rays and impressions. During this second visit, the atmosphere was a little less professional and I was a little put off by being asked for the money right away, without so much as a smile or "hi, how are you". I'm a huge stickler when it comes to good customer service, so I'll chalk that up to someone having a bad day and hope that is not an indication of how I will be treated on surgery day. I also thought I would get to look at some examples of teeth color and shape for my implants, but apparently the lab guy will just make them based on my current teeth. That was a little unnerving, but I'm trusting he knows what he's doing and he will make them beautiful, even though they will be temporary. The girl who did my impressions was super sweet though. Jessica has followed up with me as needed for health clearance and when to stop current meds, etc. She has been very sweet and prompt, which is appreciated. We are spending a big chunk of money with these guys and trusting them with my health, so you can believe I will be updating my review once the work is done in a few weeks. My prayer was answered! I’m so thankful and grateful to Advanced Dentistry, because I found my 4 most important “Best” all at one location: 1. Affordable Price(s) & accept Dental Insurance(s). 2. Dentist. Dr. Kaar is a handsome genius. 3. Staff professional, beautiful, and caring. 4. Treatment(s) / Procedure(s) were explained clearly. Advanced Dentistry is like the most beautiful, rarest, and one of a kind Jewels!! I needed serious dentistry work and I also wanted implant(s). I'm a very scary person! 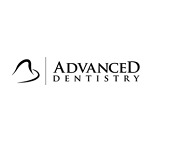 I had never been to a dentistry that made me feel comfortable & relaxed, until I walked through the door at Advanced Dentistry! There was no long waiting period. Dr. Kaar and his staff member(s) made me forget about my fear(s), just by their bright personalities; most importantly, they were attentive to me! All the staff member(s) were very professional, knowledgeable, patient, positive, uplifting, gentle, caring, and always smiling. And a special blessing to Whitley (almost mom-to-be) because she is a hard worker whom went the extra mile making sure that I was taking care of and I wanted to say, “thank you so much, because I act like a big baby” and she never complained nor frowned. Thank you, Advanced Dentistry and may God continue to bless each one of you, because you all deserve the “praise”!!! Dr. Kaar is "Brilliant". He is my handsome “Miracle Man”!!! Have always had a good experience. Have been using them over 2 years. I originally left a review of the unpleasant experience I had at this office, HOWEVER, after repeated phone calls from the dentist and an email from his attorney stating that I need to retract/correct my review or they will proceed with legal action, I have decided to do as such as I have been advised that it is not worth the headache of being taken to court. Wonderful dentistry! Advanced dentistry is welcoming and inviting. I had an emergency needing my tooth to be fixed. They welcome me that day I showed in there office. They saw me I didn’t have an appointment. I was so appreciative of there kindness. My tooth was fixed!! I was extremely hesitant to go to the dentist again having some major problems. Everyone at Advanced has been extremely cordial and helpful in every way possible. The results have been exceptional with every concern immediately addressed. Finding Advanced has taken a great burden off. I had extensive dental repair done here. I have chosen this location to bring my kids here for their dental care also. The office is much better than other offices I've been to for care. The doctors displayed competency and professionalism in their knowledge building a treatment plan to address my dental needs. Previous dental practices caused irreparable damage that this practice gave me a rational belief that I would get adequate and professional care, unlike care I had recently received in the past from another dental practice. Their ability and attention to detail has impressed me and will give reassurance to any patient that they are in good hands. One issue came up where the front office staff failed to contact me to let me know the appointment I previously made several months earlier was cancelled. The office staff was inconsiderate of my time and effort to show up for the appointment and find the doors locked. A visit today, I was greeted by name upon entering the office by a new front office staff member. This change speaks to the willingness of this office to adjust as it is overseen by Dr D. Kaar who has been the saving grace for this location. Dr Kaar has shown, by his action, that he is not tolerant of misbehavior in this office. 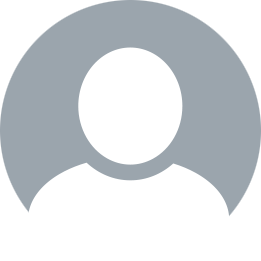 Dr Kaar appears to monitor and supervise personnel close enough that he is generally aware of the activities of this office. It appears to me, that his desire to make each patient feel welcomed will make this location a successful dental practice. I have had a great experience here. Dr. Kaar was very thorough prior to the procedure and even agreed to meet with my husband to answer his questions before the procedure took place. I had to have the all on 4 implants done for top and bottom and I have been very pleased with everything this far. His staff right now is AMAZING! I absolutely love the assistants he has right now and they have been there with me through this whole process helping to ease my mind. I was very nervous considering I have used the same dentist for the last 30 years, but I have felt right at home from the beginning of this process. I would definitely recommend him and his staff to other looking to have this type of work done. The office staff was friendly and fast! I've been a patient here over 1 year and have not been let down. I recommend you give this team a shot! Dr Kaar and staff are the BEST I have ever worked with. They're doing my 3 implants and I'm very happy with the my results. Worst customer services ever. I paid almost $6,000 one time for implant since 02/2016 and everything was fine until the front desk changed to the stupid old lady named Sandra around May, 2016( I believed so). She messed up my schedule for only crown's appointment to four times from July to September, 2016 and because of her stupidity, she promised to credit $100 to me but she never send me payment even I called several times to request. It didn't stop there, she messed up my insurance Claim paper works by wrongly typing somebody's insurance information to my paperwork. Luckily, I checked and told her to correct it but she looked like nothing happened, unbelievable. So, be careful when come to this office, you done after you pay; they don't care if something happens to you after you paid. Horrible customer service. Sandra was so rude over the phone, I decided to look for a different dentist. I'm not taking my chances, and finding out that negative attitude is part of the company culture. This is my first Google review- yes, I was that upset. I have had two implants and couldn't be more pleased. Dr. Kaar has done a wonderful job. He is very conscientious and the results are fantastic (they look great). I recommend him. I had this spring an implant, 2 crowns, and a cleaning at Advanced Dentistry. This is a totally professional (and friendly) operation. The entire staff is excellent; there are no weak links. Dr. Kaar is absolutely first-rate, the best dentist I have had in my life. He explains everything clearly, presents options, and answers questions directly. I have had only positive experiences in my visits. I will continue to have all my dental work done with Dr. Kaar and Advanced Dentistry and will recommend him to my family and friends. Dr Kaar and the staff at Advanced Dentistry are amazing. Dr Kaar did my implants and my smile is amazing. I would recommend this dentist to anyone. If you want a dentist that strives for perfection Dr Kaar is your man. I just recently finished my treatment plan having all on 4's top and bottom done and everything went great !!!!!!!!!!! Dr. Kaar is an excellent dentist and his staff is very good. In the nine months from start to finish my appointments were always on time. Never kept me waiting !!!! Office is always clean and well kept. Very glad to have found Dr. Kaar !!!!!!!!!!!!! Let's face it, no one loves to have major dental work performed. Having said that, I had to have it and after going to several consultations I decided to go with Dr. Kaar given that he's an expert in the field. He's a board certified prosthodontist and after seeing some of the before and after pictures of his past work combined with the best deal I got from all the consultations it was a no brainer. On my first call to their office I spoke to Sandra where I was able to be scheduled the next business-day. My initial consultation was free of charge and they took x-rays and a 3D of my mouth. The office staff and the assistant Valerie were friendly, professional, and efficient. My first examination confirmed that my dentist who referred me to him was correct and I needed an all-on-4 implant procedure. I was able to be scheduled for surgery at a time that worked best for me. The day of my surgery, I barely had time to sit down in the waiting room before I was whisked away to my surgery. Dr. Kaar came right in and began the procedure with IV sedation. Before I knew it, I was awake and comfortable, albeit with new permanent teeth. At my initial consultation, Dr. Kaar warned that it wouldn't be a cake walk because of bone loss in my mouth (I have quit smoking after this surgery!). All said and done though, with the help of his office, I was able to manage the pain well and had no complications. I no longer have to hide my smile and that gives me the confidence I had been lacking for some years now. Highly recommended! Love love love my smile!!! So glad I found Dr. Kaar! My family and I will only go to him for all of our dental needs! One bad apple will spoil the whole bunch: I had an unpleasant experience with one of the receptionist at Advanced Dentistry. Overall the staff was not prepared or efficent with their duties that day. There was lack of communication between I "the patient" ,the staff , Dr.Kaar on so many levels . I was there for a consultation with Dr.Kaar who'd appeared to be very professional and mannerable in his line of work, but due to the miscommunication of his staff my consultation went horribly wrong. Dr. Kaar referred me to an ortho due to my dental plan and one of the receptionist ( I wish I would've received her name) decided upon her own decision to not give me a referral. She became very defensive when I asked for copies of my inusurance papers , wrote a rude/false statement on one of my copies, and had a patronizing attitude toward me and my concerns. I came in an optimistic patient and left a very disappointed lady on behalf of the staff unprofessionalism. I will not recommend nor give my services to them again. For future references I hope Dr. Kaar carefully evaluate who he hires for his staff, because as of now his staff is a poor representation of him and his dentistry. What can I say people here at Advance Dentistry you can find the best Dental DOCTOR YES !!!! Doctor Olga am supper supper +supper happy with Dr Olga she is simply a fantastic Doctor ,Gentle,professional and clear with the diagnose .I love the way she reconstructed my molar ,i had literally no walls no surfaces nothing and now a have a molar so i can eat with ,has been years and years that i used to deal with that hole and like i said now i have a molar eat with ...Thank you so much Dr Olga you are simple the best !!!! Husband has his new dentures!!!!!! I'm so excited! He has a custom smile. Dr. Kaar is wonderful and professional! Staff is wonderful also! I've never seen my husband look so handsome! It was worth the wait! AWESOME, Dr. Kaar and staff! Thank you so much for making James and myself so happy! Dr. Kaar is the one to see for your prosthetics! I will recommend Dr. Kaar to all my family and friends. Well Done Dr. Kaar!???????????? I had been in need of an All on 4 treatment for my upper teeth for some time now and after months of research I narrowed my choice down to Advanced Dentistry. Dr. Kaar who performed the surgery was very clear on the procedures I needed in order to restore my teeth and being that I am extremely uncomfortable sitting in a dentist chair, he assured me that with sedation I have nothing to fear. My surgery was performed successfully and I am glad I made my appointment. The work done on my teeth could have not looked any better, not to mention that I got the lowest price compared to other Prosthodontists I had researched in the Lewisville-Denton area. My wife, much like myself is extremely scared of sitting in a dentist chair as well and needed a root canal, she has a sweet tooth! Dr. Olga who was extremely compassionate and nice made sure to make my wife feel comfortable and addressed all her concerns. I was extremely surprised how genuinely happy she was from her interaction with Dr. Olga and she's coming back for teeth whitening next week, something she would never do in a million years. Thank you Dr. Kaar and Dr. Olga for the great smiles you have provided us. Dr Kaar and his staff are by far the best dentistry office in the DFW area. He makes very sure that you are as comfortable as possible and his follow up with his patients if perfect. He is my dentist from now forward! Although We live in McKinney, it is worth the drive. I always look forward to seeing him and his staff. I was referred to Dr. Kaar by a different dentist as I needed more complicated work. Every step in my interaction with Dr Kaar and his office was seamless. What could have been an unpleasant process went great and Dr. Kaar made himself fully available in case any problems came up (none did). I feel very fortunate for this recommendation and wish I had known about Advanced Dentistry earlier. He also helped me find a pediatric dentist for my 4 year old daughter. Great Staff! Good experience and will definitely keep going back. Excellent experience with extensive work done . All procedures done at one facility , this a definite advantage . One stop dentistry . Actually experienced little to no pain or bleeding . Knowledgeable and friendly staff . Dr. Kaar is excellent ! I walked out after extractions with teeth in place . Highly recommend this facility . OMG, where do I start? First of all, let me tell everyone that I had an emergency. I called Advanced Dentistry for the first time and they booked me in immediately. My mouth was in bad shape until Dr. Kaar did magic on my mouth. I came in crying and left out smiling feeling better about more future work. The entire staff is loving, kind and there to hug you if needed. The facility itself is nice and clean. I recommend each and everyone to set up an appointment with Dr. Kaar and let him give you that great smile you've always wanted. I'm a witness that he won't let you down. Thanks Dr. K and staff. I'll be back!!! Please people check him out, he's the man with skilled hands. Advanced Dentistry met all my dental needs and more. Full mouth extractions and complete upper and lower implants. Dr.Kaar (exceptional) dedicated his time and staff for me on the day of surgery, virtually no unusual pain afterwards, healed quickly and has answered all my questions along the way with optimism and clarity. I used to work in the dental field and the assistants and hygienist are very skilled and knowledgeable. Front office staff very nice and accommodating. Clinic is exceptionally modern and extremely clean. State of the art equipment and people. Would recommend to anyone seeking excellent dental care. There is simply nobody better than Dr. Kaar and I have visited a number of Periodontists in the past that I can not say the same about. He is a warm, personable, highly intelligent, caring man, who has outstanding skills as an oral surgeon. He knows exactly what he's doing, but is never in a rush, always explains if you want him to, has soft, delicate hands so that nothing ever hurts, and his office and staff are highly professional and competent as well. Everything about the experience, led by Dr. Kaar himself, is first class. I saw an ad at the local newspaper after just moving to town and decided to take advantage of their free exam and xray. I was very impressed with their new building and how clean and modern it looked, but I was even more impressed with the state of the art equipment they had in their office. I hardly had to wait to be seen by the dentist after checking in and she was a sweet and caring dentist. I got a clean bill of health after my exam and did not need anything besides a routine cleaning. They had an opening while I was there and I got my cleaning all in one visit. The Hygienist Casandra was friendly and had gentle hands (my last dentist back home was rough). I was out of there in just about an hour with a clean smile. I highly recommend this dental office. This is the BEST Dentistry in Dallas-Fort Worth. Both Dr. Karr & Dr. Olga deliver State of the Art Dentistry! His Staff is a reflection of the service he performs...PERFECTIONIST! The dentist office is Simply Beautiful! Last but not least..he is affordable!! recently decided to go back to the dentist After years of "letting myself go." The staff at this dental office are very welcoming and knowledgeable. They were able to fit me in for an appointment the week before New Years when it is their busiest time of the year. I was extremely nervous, but Dr. Kaar completely put me at ease. He spent a great deal of time in my exam explaining all his findings to me. He took pictures to help me understand what he was talking about. The staff was so friendly, especially the assistant Valerie. Sandra really helped explain my financing options also. This office really wants you to feel comfortable- whatever it takes. When I left I felt like I made a bunch of new friends. Thanks you guys! Needed new dentures after 2 years with a set from the 1 day denture sharks that never fit right. The staff at Advanced Dentistry was great, friendly and courteous. Dr. Kaar was very knowledgeable and very professional. Dr. Kaar is very particular about his work and has only the best interest in his work. My dentures fit and felt great with only 1 minor adjustment on the lower plates. Will recommend Advance Dentistry to any of my family and friends. Amazing dentist! Dr Kaar went out of his way to give me my smile back. He exceeded my expectations, and made me never want another dentist! I have and will continue to drive 2 hours for my dental needs!!! There is not enough great words to describe my experience with Advanved Dentistry and Dr Kaar. I truly hated going to the dentist and Dr Kaar has changed my whole outlook on Dentistry. Each visit was better than the last. Every one in the office seems to enjoy being in the office on the very day. The energy and enthusiasm demonstrated by each staff member makes me look forward to my return visit. The best Prosthodontist I have ever been to.